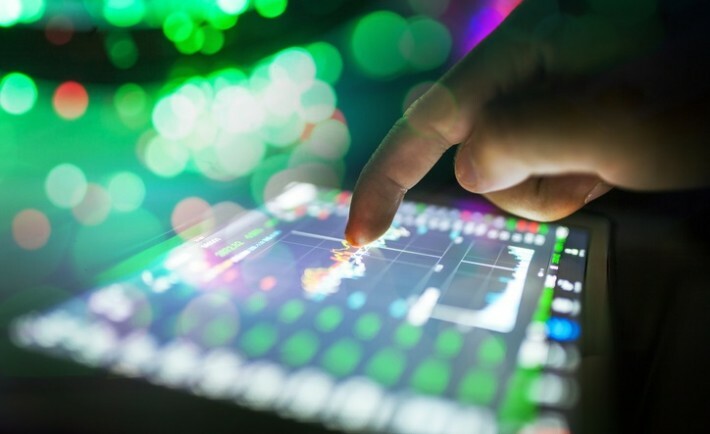 For businesses that create products, as a pose to creating services, the manufacturing process can be a daunting one, especially when the business is still new and it’s on the small side. Manufacturing can be expensive, which can make the process unaffordable for many small brands. Obviously, if a business is built around product creation, it needs to be able to afford to manufacture its products. Otherwise, it will fall flat and fail. That is why it is vital to ensure that before launching a business in product supply and distribution, you ensure the manufacturing side of things is affordable. 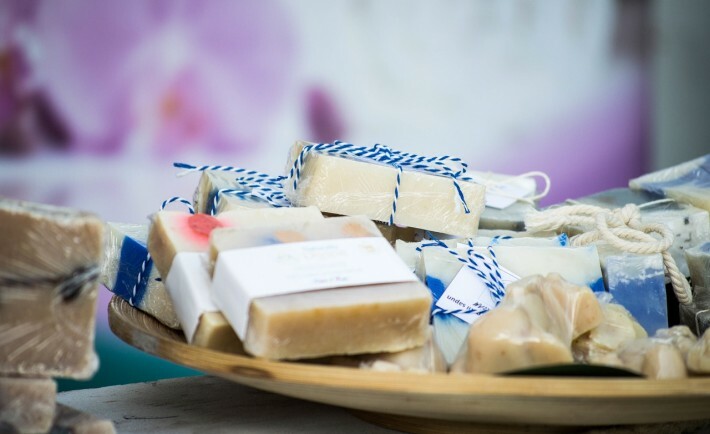 Launching a business is stressful enough, without the added worry of a lack of funds. Bearing that in mind, below are some tips and pieces of advice that will help to make the process of manufacturing on a small scale easier and more affordable. Read on for everything that you need to know. First things first, be clear about what you want and need. Don’t get talked into having things that you don’t need – your business is small, you are on a budget, so it is important to keep your manufacturing as budget-friendly as possible. One of the most common reasons businesses fail is because of a lack of funds – don’t let your startup be next, be clear about what you want and need and stick to your guns. Don’t be tempted to overspend, because you will live to regret it. Before you even think about choosing a company to handle any part of the manufacturing process, from product design to product packaging, take your time to research every detail. Look into the areas that you will need to outsource, as well as the part of the process that you may be able to deal with in-house. For instance, to cut costs, a lot of smaller brands invest in a digital label printer, so that they can print their own product labels to attach to their product packaging. A lot of smaller brands also opt to pack their own products, to help cut costs further. For every quote that you get, make sure to compare. You want to ensure that you get the best deal for the best price, which is why getting a range of quotes and comparing them all is so important. If there is a company that you prefer, but they charge more than another brand, don’t be afraid to haggle with them to try and get their prices down. Explain that you are looking to build a long-term partnership, and that you would love that partnership to be with them. Once you’ve compared the different options, take the time to read customer reviews and testimonials of the brand. It’s important to make sure that any company that you work with is reputable and puts their customers’ needs first. So it’s worth taking the time to read reviews and testimonials before agreeing to partner with a certain company. Want to make small scale manufacturing easier (and more affordable)? Take note of the tips and advice above, and you can do. Improving the conditions of your office could help to make you and your employees more productive. 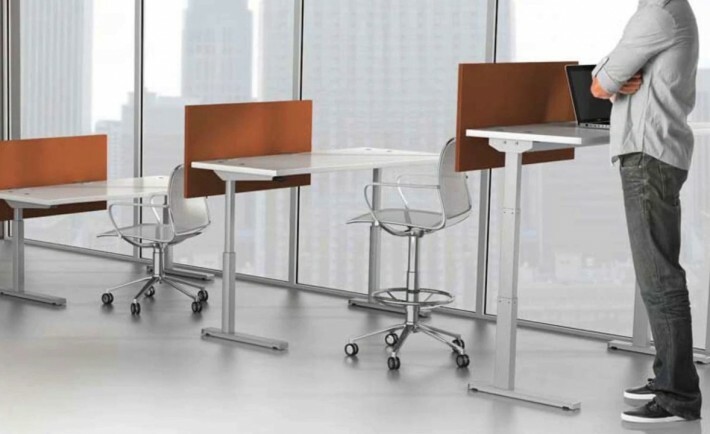 Here are a few ways in which you can improve your office space for the better. Poor lighting can cause eye-strain and make your staff more tired. Let in as much natural sunlight as possible or position lamps around the office to brighten the place up. Clutter doesn’t just make the office more disorganized, it’s been proven to be psychologically bad for concentration. Hide unused items away in drawers and filing cabinets and try not to have too many ornaments around the place. Going paperless can help prevent clutter. Being comfortable at your desk will make you work more efficiently. Ensure that your chair is at the right height and that your desk is not too close to a wall. You could even buy an ergonomic mouse and keyboard for smoother control. Don’t let the chill distract you from work. If your heating isn’t working effectively, industrial heater repair may be needed. Of course, you don’t want the office too warm, and an efficient air conditioning unit may be needed for the summer. Keyboards are breeding grounds for bacteria. It’s thought that they are major cause of spreading illness in the office. Give you keyboard a deep clean once in a while. Don’t eat food over your keyboard as crumbs could attract vermin in the night. Encourage communication within the team by getting rid of cubicles and going open plan. If concentration is required for some jobs, have a designated quiet time for everyone to knuckle down. Put important information such as workplans, databases, training documents and contracts in one place. This could be pinned to a wall in a communal area, although may be better suited stored online in a cloud folder that everyone can access at all times. You may even be able to create your own custom software for storing this information. Plants have been shown to help with concentration, as well as purifying the air. Place plants around the office to help stimulate your team. Food and drink can help serve as a pick-me-up. Provide a few snacks to spur on your workforce throughout the day. You could also invest in a coffee machine and put this in a communal area. Food can also be a great incentive – if your team achieves a goal, why not treat everyone to a meal or bring in a bottle of champagne to celebrate. It’s important to have a zone where people can go on their break. Eating food at your desk is unhealthy both for the body and the mind. Encourage your staff to go to this space when they’re not working. On one hand, being part of a startup is exciting and cool — the feelings you get when you are part of a trend. On the other hand, few entrepreneurs want anything less than success, so you are probably eagerly looking forward to the time when your startup transitions to a fully fledged small business. Plenty of entrepreneurs dismiss having vision as daydreaming or living outside reality, but in truth developing a vision is a good way to create a guide for your startup. The quality of your vision matters. For example, if your vision shifts from day-to-day or if your vision doesn’t elucidate goals and values, it is essentially worthless. Your vision should be clear and focused — and you should be able to make it clear and focused to others, as well. If you are having trouble collecting your ideas and ambitions into a single, clear vision, you might need to put your small-business dreams on hold. Instead of steering a startup toward the unknown, you should gain experience and education in business management, which might mean considering enrolling in MBA online programs. In the process of acquiring an advanced business degree, you should attain insight into possible routes for your business — thereby developing a strong, practical vision. This one should be obvious: To lead any group of people — be it your startup staff to small-business success or your family through a tough day — you need to be able to communicate well. Because startups are relatively intimate business endeavors, effective communication is especially important. You should be able to express ideas and intentions to your staff, your board, your investors, and anyone else with a stake in your business’ success, such as your spouse. Starting a business is fun; running a business is work. If you want to earn the adjective “successful” and establish a strong, stable small business, you need to commit to the business you already have. If you don’t exercise commitment and willpower, you could soon turn into a serial entrepreneur who has several poorly functioning startups to his or her name. Until you are confident that your staff can handle daily responsibilities — that is, until you are certain your startup has graduated to a small business — you should avoid pursuing other ventures. After confidence, honesty is perhaps the most important quality for a business leader. If you reach even moderate success, several lives will depend on your business decisions. Therefore, it is imperative that you are honest with yourself and with others in all regards. Your staff, your board, your investors, and your family have a right to know when business is going well or poorly. Similarly, they should know what you are doing to reach success and what they can do to ensure it. If for no other reason, you should be honest to improve your startup’s brand. In modern markets, most people are adept at sniffing out inauthenticity. By being open and sincere, you establish a culture of honesty that forms the foundation of your brand. Finally, successful entrepreneurs tend to be good at self-maintenance. Though your startup will make your life somewhat uncomfortable until you reach success or at least stability, depriving yourself of loved ones or healthy food and exercise will not ease your discomfort — such action will only compound it. Though it might seem counter-intuitive, the only way you can ensure your startup succeeds is to give yourself time to relax. Then, your mind and body will be ready for the hard challenges ahead. For smaller companies and start-ups, business can sometimes be too hectic to focus much attention of branding. Often it can be a case of “we’ll get to it when we have the money”. Other times, it might simply be a lack of resources to give your organization’s brand the attention that it deserves and needs. However, there is much to be said for elevating branding to a higher position on the priority list. A strong brand has been shown to assist in building loyalty not only among customers and clients, but also employees. People simply want to be associated with brands that they feel project the right image. 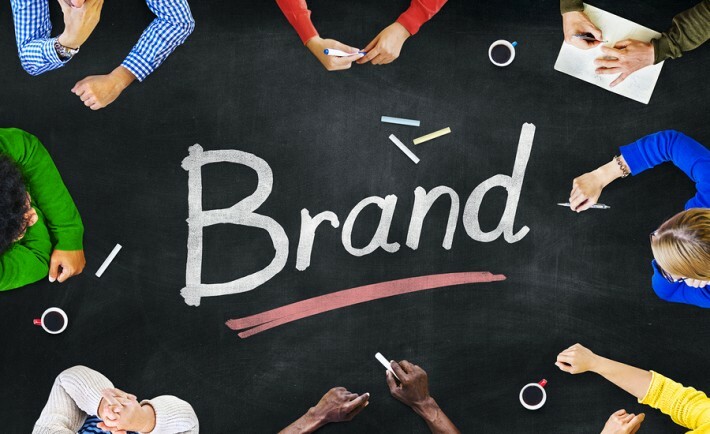 With that in mind, let’s look at a few important ways to get your brand out. Keeping your image consistent across all media and touch points is a critical part of building a successful brand. Everything from promotional products, external signage, email signatures, corporate apparel and stationery should carry a unified look and feel. This helps to communicate who you are, what you stand for and the values you represent. It is critically important to ensure that your brand is appealing to the right audience. The corporate world is overflowing with companies that fell by the wayside because they got their marketing horribly wrong, and targeted the incorrect audience. 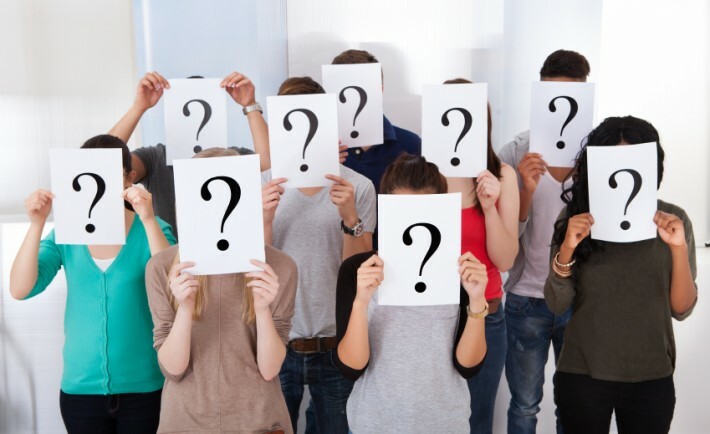 Being able to clearly define your target market is an asset that will ensure you get the greatest bang for your marketing buck, rather than wasting resources appealing to demographics that might be less interested in what you have to offer. Resources devoted to quality market research today could make a huge impact on the long-term success of your company or venture. There are few businesses that can survive in today’s world without some form of digital marketing. Your website is the hub of your digital strategy and should clearly reflect who you are, what you believe in and the purpose that you serve. Remember, your website is your 24/7 sales person. It never takes holidays or sick leave, doesn’t ask for a raise or time off to attend the kids’ concerts. Consider this when you’re deciding what sort of budget to allocate to your web design project. Once completed, it is worth thinking very carefully about which digital strategies you will pursue. Whether it’s social media, SEO, paid search, email, content or affiliate marketing, it’s crucial to understand where your target market is and how they interact. Understanding the competitive landscape in your market will be a key to your success. Knowing your competitors, what they offer and he shortcomings that can be exploited to win market share is key. Develop a product or service offering that fills that niche in the market, and you have a potential recipe for success. The trick is then to adequately sell your advantages by demonstrating your Unique Selling Proposition (USP) to clients. The best brands succeed by tapping into the emotions of their audience. They strike a nerve by reaching them on a personal level that speaks to their inner feelings, thoughts and desires. When you stop selling a product and start selling an idea, a dream or a vision, then you are truly on to something. Identifying the emotional triggers and developing a branding strategy that zeroes in on them is a perfect recipe for success. This is my no means an exhaustive list. Nevertheless, by following these simple guidelines and doing some additional research, you will be well on your way to developing a killer brand. For anyone looking to escape the 9 to 5 struggle, the prospect of running your own business, in relation to something you have an extreme passion for, is not just the goal for business people. It’s probably fair to say across the board that everyone would rather make a career out of their passion. This couldn’t be more applicable to the artistic or creative worlds. Both areas require a lot of extravagant thinking, but a lot of businesses that try to go down the creative route can end up struggling because they aren’t so savvy on the business side. So how can you create a successful business from your own artistic endeavors? In other words, what you create, i.e. your product. By sticking vehemently to your passions you will have a zeal for creating great work, and this enthusiasm will naturally bleed into your product. So be clear about what you want to make, but also who you want to make it for. Integral to the selling process, you need to make sure that you know exactly who it is you are able to cater your product for. If you are unable to do this, it’s going to be a very difficult process, and the best way to define your target market is not to go for the broad canvas, but rather focus on a niche part of the market. Have a look at inc.com for some inspiration on hitting your target market in this respect. This will concentrate your efforts more on building your product, and also helps you to tailor your marketing strategies to better suit the audiences, so they are more inclined to purchase your product. If it gets to the point that your artistic endeavors are proving lucrative enough that you need to start making copies of your work for mass production, you need to think about the best way to manufacture these at a rate large enough to meet the quota, but also making sure that your product doesn’t reduce in quality. 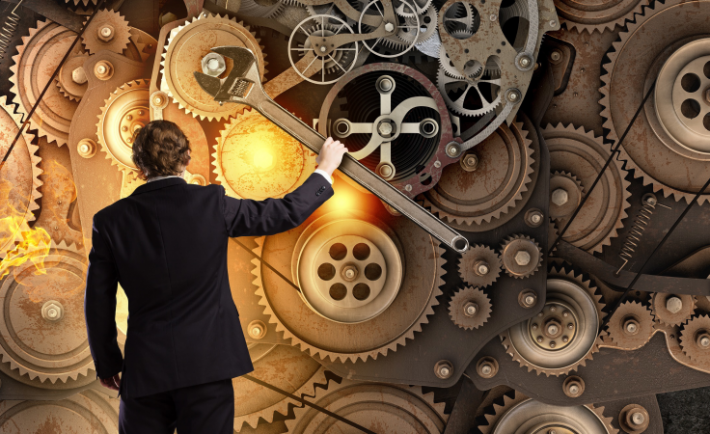 It is at this point where you may start to think about machinery, depending on the type of business you’re operating. For an arts and crafts type of business where engraving is a key part of the process, you may want to think about investing in something that can get your products engraved and out there quickly. If you see the laser cutter at bosslaser.com, it is something that can lend itself well to various artistic applications from photo etching to wood cutting to engraving signs. By using a specific item of machinery that can be used for various things it will make for a useful return on your investment. Your manufacturing process needs to be well thought out if you are planning on creating one piece of art, be it jewelry or photographs, and distributing them en masse. The artistic pursuit when it comes to running your own business is a very fine tightrope to walk because you need to establish the business side properly before working on your art. This means that you will have a better structure and framework in which you can operate so you are likely to get a better response from your intended audience. Making Sure Your Business Starts Up Right; 3 Things To Do! Getting your business startup to get off the ground is a very difficult task to complete. Most startup businesses end up failing, but we don’t want that! There are a few small things that you can do in order to maximize your business’s chance of surviving, so carry on reading to find out about them! This is one of the best things you can do to prevent your content from getting stolen as it actually means that it’s beneficial for you to do so! You can do inadvertent link building with images that people steal off your website, but how does it work? Well, you use wordpress plugins on your website to link your image to a certain page on your website. This is useful in itself for just being on your website, but if someone else takes your image and uses on their website, whether consensual or not, when they click on the image it will take them back to your website! You can use this with SEO companies too, so make sure you take advantage of this! Your company’s logo should represent your company, and it’s normally the first thing people see of your company and therefore it’s important to get it right because it’s going to be their first impression of your company, and we all know that first impressions are everything! Because of this it’s good to hire a professional logo designer to make sure that your logo is exactly what you’re after. It has to properly represent what your company is about, so you have to make sure you have input on it to make sure that it’s exactly what you’re after! Similarly to your logo, your website is also another very important part of the first impressions that you make upon potential customers. Your website is either going to make or break a deal, but how and why? Well, if your website is easy to navigate and use, and it looks aesthetically pleasing, then people are more likely to use your company because the website is easy to use. However if your website has been designed and made poorly then the potential customers aren’t going to be able to move around your site to find what they want so they’ll just give up and go somewhere else. This is why you need to hire a web designer, it takes out the hassle of doing it yourself and it guarantees a good quality website so you’re going to avoid all the problems that come with it! Make sure that you do all of these things, and your startup business is going to excel greatly! You’ll have images that link back to your website generating you website traffic regardless of where the images are, you’re going to have a well made website and a well designed logo to accompany it! In the 21st century there are all kinds of other threats that can ruin your business, such as ones from the internet, so read this to know how to get yourself protected! There are many digital threats of which all business owners should make themselves aware. Failure to understand these issues ahead of time could mean they have a terrible effect on the operation. For instance, it’s possible the brand would lose customers and profits if they didn’t put the right measures in place. Considering that, there is information about some of the most common threats below. Estimates suggest there are thousands of professional hackers in the world today. Most of those criminals make their money from stealing customer payment information from businesses. Protecting every company from incidences of that nature is essential. Not only could hackers cause downtime, but they could also get the brand a lot of bad press. Bugs in computer networks and apps can cause a LOT of headaches. Indeed, that is why it’s sensible to pay experts to take a look at everything and perform an assessment. The infographic below highlights some of the issues bugs and other problems can cause. There are hundreds of thousands of different viruses that could affect any business. Getting protection as soon as possible is the best way to deal with the matter. Just don’t make the mistake of using free or cheap antivirus software. It’s usually beneficial to make a substantial investment in high-end solutions. Now people know about the most common digital threats, it should become much easier to deal with them before they cause any problems. Any specialists working in the IT support industry could offer advice to entrepreneurs who don’t know where to start. Renting a business space is not an easy feat. Not only do you have the legal stuff to contend with, but you have to find a space that is perfect for the size and growth of your company. Being in manufacturing or opening a facility for children’s play usually means leasing an industrial building on an estate with other huge facilities. We work in a time with rising expenses and investment is difficult. The price of commercial real estate is at a high, so when you’re figuring out what your company needs to be able to soar, this should absolutely be a consideration for you. 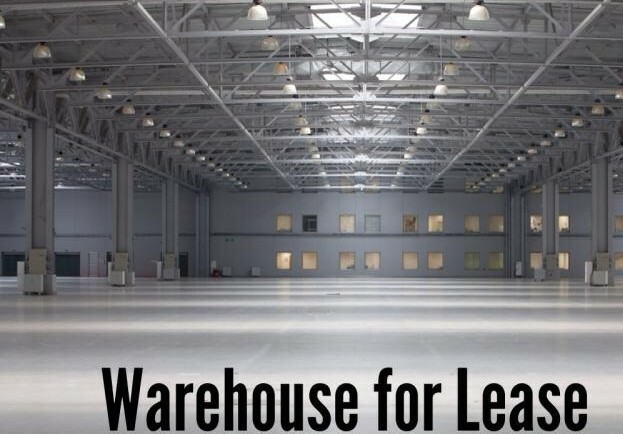 Before you go and invest in a warehouse facility for your company, you need to look into the features that would appeal to you the most as a new tenant. In the same way that you would look at high street offices or shops for sale, warehouse and industrial buildings need a similar look over before you make your purchase. You need to look at the cosmetics of a warehouse to know whether you need to bring in a roofing contractor or other professionals to tighten up a run-down space. There’s nothing worse than surprise expenses, so look carefully! Don’t forget, you’ve got to look beyond the floor space and loading area and see the parts of the warehouse that needs work before you move in. So, what else should you be looking for? Height. Your business operations are going to depend greatly on the height of the building you invest in. There’s no use in putting money into a building that cannot fit the manufacturing machinery you require or has trouble holding the stacking supplies you need. Research the height of the warehouse you need carefully before you go barrelling in. Land Area. The more land you have the better. If you are going to be loading and unloading on site, you need to have a decent bit of space to store the lorries you commission. It would also be handy to have a parking area on site for staff and clients, so go for more land if you can. Office Space. A warehouse that you buy for manufacturing needs to have a dedicated office space within it, otherwise you’ll have to get an office outside of the area which will cost more money in the long run. Location. As always, location is important. If you expect to have staff and have clients visit your space, you need to ensure that you are close enough to the major roads to get to and also be close for the fact your workers will use a lot of fuel when using the lorries to transport goods. Weigh up the pros and cons of the locations you want and shop around; this is crucial. Buying into commercial warehousing is not easy and does need a lot of research and thought before you go ahead and put your money where your mouth is. Making smart choices and having second opinions is a given, so go forth and shop! 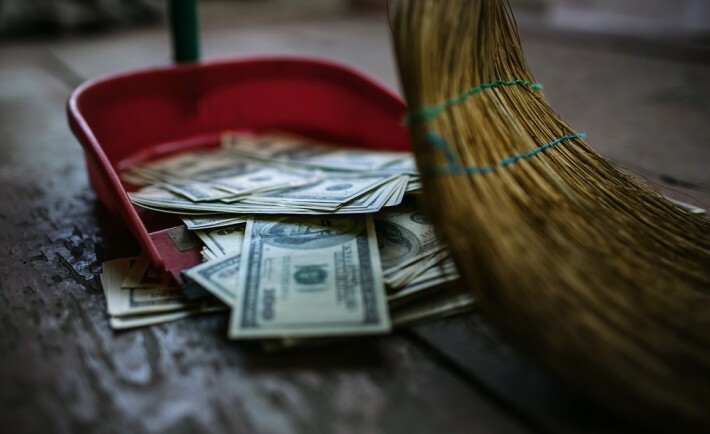 Time Is Money – Stop Wasting It Pointlessly! Launching a business today brings you into a bright and active environment where things move fast and digitally. Indeed, the digital age has dramatically changed the way businesses used to work. And that’s a good thing because you want to embrace the digital way. 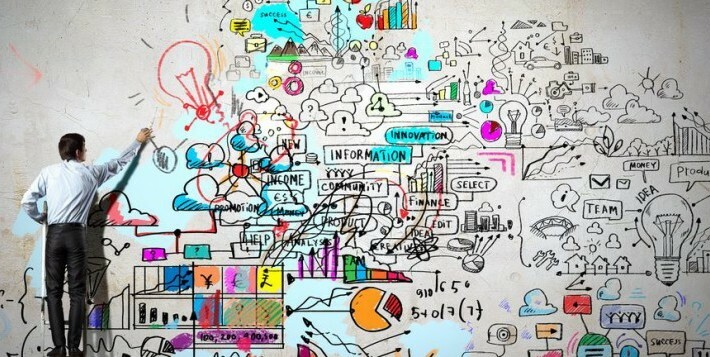 Without digital technology, your business structure would be sluggish and outdated. To stay on the move, you need to be aware that 38% of jobs in the USA might be replaced by technology before 2040. Sounds scary? Don’t be fooled! What it means is that in 15 years’ time, new digital skills will be required to deal with the new tech requirements of companies. Why should such a thing happen? Because technology saves time, and consequently money. But don’t wait until 2040, adopt simple cost-saving tech solutions in your business now. How long do you need to process your professional emails every day? Between customers’ notes, confidential information and public notifications, employees need up to 2 hours a day to organize their mailbox. That’s why you need a strong email classification system to save your time when treating your email and archiving it. More importantly, it keeps you focused on the security policy within your business as it automatically marked as confidential messages that share private data. For small like big businesses, the accounting team needs to be working on budgeting, keeping books, and tax management tasks. However, more often than not, the accountant team’s effort is spent in organizing the invoice management process, which leaves less time for strategic operations that could save money. An automated workflow to deal with invoices and payables can help to save time and money in the long term. For a start, there’s no more need to work at the slow pace of paper invoicing, as this can make it challenging for PO matching and approval. Additionally, keeping a digital source of your invoices – as a debtor and creditor – makes them available to all and easier to keep track of. The main problem with organizing meetings is that they tend to occur at a specific location and cost you up to a day of work to get there. Wasting a day for a 1-hour-long meeting? Now that’s not a smart move. Virtual meetings, in comparison, have no travel time or cost involved. Besides, as you can record them, they’re easier to share with those who couldn’t attend in real time. More importantly, virtual meetings don’t harm your productivity. And with the option to visio with your team or partners, there’s no reason why you should prefer a face-to-face meeting anymore! Do you hate it when you need to work with others on the same report? One of you prepares the first draft with their bits in on Words, saves it, and then sends it to the next one who will add their parts before saving and emailing it further. What a waste of time! Working with collaborative tools, not only allows you to all work together on the same project but also to exchange information with other projects you wouldn’t have been aware of otherwise. That’s a serious gain of time and productivity! In a few words, technology saves you time, which saves your money. Whether it’s email processing or team work, there’s no valid reason to keep things manual anymore. Go cyber and drive your business to success! What Do All Entrepreneurs Have in Common? All different types of people are drawn to the world of business. You don’t necessarily have to be ruthless, dominating and assertive in order to achieve the success you are looking for. On the other hand, there are a few personality traits that a huge number of entrepreneurs have in common. It is these that we will be focusing on in this article. The following four traits are all highly beneficial to the aspiring entrepreneur, so take a look through and see if you can identify yourself in any or all of them. Many successful entrepreneurs and business people are always looking to acquire new knowledge and skills – it is this quality that helps them stand out above the competition. The internet has changed the game in this regard as so much information is now available at the touch of a button. If you are looking for a good starting point, check out 12 things all business students can learn from Jamie Dimon. With the knowledge that entrepreneurs acquire, they are always looking for whether there is a better way of doing things that they can develop themselves. Business is very much a world of survival of the fittest, so this relentless curiosity and enthusiasm ensures that these people are always driving their businesses forward. Entrepreneurs see the world in a different way and look for creative solutions to problems that they encounter. But creativity doesn’t necessarily only mean inventing new products. It also refers to finding new ways of doing things and creating strategic approaches that help the clients they serve. Even the biggest businesses are always having to enhance and adapt as time moves on. As an example, McDonald’s could have stayed as a simple burger joint, but instead it has cottoned on to the growing trend for coffee shops and gourmet burgers and offered these things accordingly. 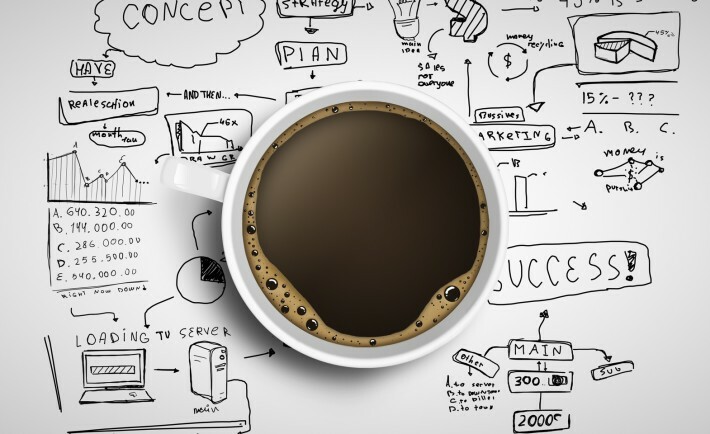 Creativity is probably one of the most natural qualities that people would associate with entrepreneurship, but you also need to have the drive to put these ideas into practice. A huge proportion of people are fairly passive and willing to let life happen to them rather than making the decision to take responsibility and control. Rather than seeing things as obstacles, entrepreneurs view challenges in front of them that need to be tackled and overcome. Instead of feeling powerless, they always feel like they have a degree of control over the situation that they can exert if necessary. In general, people tend to complain about situations but don’t really do all that much to change them. Entrepreneurs see things that they need to influence and work out ways in which they can do so. As we have already talked about, the world of business is fast moving and unrelenting. This means that entrepreneurs can’t afford to stand still for too long or they risk getting left behind. Therefore, decisiveness is a quality that many entrepreneurs possess so they can move their business forward. Along with this decisiveness comes a degree of risk taking as you can never really predict what all the consequences of your choices are going to be. Though they listen to advice, entrepreneurs are still willing to take decisions on their own shoulders and stand by them whether they go wrong or not. Of course, as mentioned at the start, entrepreneurs vary wildly from person to person, but if you look at many business people a little closer, you will see that they possess the four qualities that we have just talked about. That is not to say that everyone who possesses these things will always succeed, but they can go a long way toward the success of a business. Entrepreneurs don’t let circumstances stand in the way – they find solutions to problems which they encounter before them. They have a never ending curiosity which allows them to continue to innovate and discover new things about the particular field that they have chosen. And when they come up with solutions to problems, they have the decisiveness to take them through to their natural conclusion. Finally, they take responsibility whether or not they are shown to be right or wrong. It is often the mistakes that people learn the most from in life as they know not to repeat them. So, if you see yourself in the entrepreneurial qualities we have just talked about, you could well be on the fast track to business success. Starting A Business Isn’t The Hard Part! When a lot of people think about the struggles of running a business the first thing that often jumps to mind is the difficulties that so often come with getting it off the ground in the first place. Finding the money, the people, and even the motivation to start your own business can often be such a significant hurdle that many people never get over it in the first place. However, it’s pretty foolish to think of the challenges of running a business as beginning and ending with those early moments. The reality is that the real challenges of running a business happen further down the road. Getting that early burst of energy and motivation might be tough, but the real work happens once things are really moving forward. Here are just a few of the most common challenges that businesses run into and how you can go about avoiding them. When you first start your business, there’s a pretty good chance that there aren’t that many people involved. In all likelihood, it’s just you and few friends working out of somebody’s living room. However, as the business grows, then it’s pretty likely that you’re going to need more people in order to cover the increased workload. When this happens, it can be a challenge to find the right people. The worst issue is that many business owners realize that certain people aren’t right for the business. There’s a good chance these kinds of employees will be a part of your business in the early days simply because your ability to figure out who is the best fit for your business won’t be that developed yet. When you reach that stage, then you have a choice between working with that employee or parting ways. The choice comes down to what you think is best for the business and how well you think that employee can improve. Money is always an issue for small businesses, especially at the start. After all, raising the money to get the business off the ground is often one of the most significant concerns when you’re setting up your own business. However, just because you’re past that hurdle doesn’t mean that your financial troubles are over. In fact, there are plenty of financial hurdles that you could end up dealing with further down the road. Form losing customers to sudden disasters; there are a lot of reasons why you might end up in red. Luckily companies like smallbusinessloans.co are able to offer loans that can help you get things back into the black again. It’s important to be careful with your money and make sure that you never end up getting complacent, even if it feels like you’re over a major hurdle. The truth is that, if you really want to make the most of your business, you have to come to terms with the fact that the hard work never really ends. As long as you’re happy to put in the work at every single stage, then your business is much more likely to succeed. Maybe somewhere down the line you hired somebody who wasn’t right for the role. Make sure you assess this part carefully and figure out who is bringing the HR department down. Some people may be too comfortable with being relaxed in HR. If they’ve been working in the department for a while and nothing has come of them being so lax on policies, of course they’re going to continue. Find those people and get rid of them. You could warn them and give them another chance once your new policies are in place, but if you’re serious about improving the department, this is how you trim the fat. Telling yourself the same story over and over again can be dangerous, especially if you tell yourself your HR department is no good all the time. You brand your business from the inside, so if this is something you say often, people will believe it, and chances are, it’ll get worse. Change your story and your perception to improve tenfold. One of the most important things to focus on is candidate experience. If you’re hiring for a new role and the candidate comes into contact with HR who are cold and unhelpful, this isn’t going to give them a great impression of your business. It can cause many problems down the line. One of the focuses of your business and HR department should be to ensure new and potential employees have a great experience. Investing in HR consultancy could be one of the best things you do for your department when you’re trying to make a complete turn around. HR Consulting Firms will work with your current team to improve attitudes and processes. Instead of trying to do everything yourself, hiring a consultancy firm can save you time and money in the long run. Each and every employee you bring on board should fit in with your company culture. You may even turn down great employees because they just don’t suit. You should be vigilant with this, as it’ll create a better, more productive work environment for all. You must have appropriate procedures in place and be consistent with them. You need to enforce rules fairly across all of your employees, to ensure that everybody that comes into contact with your business has a fantastic experience. Consistency within HR is particularly essential. Having to let people go is never fun, but there are ways to go about the process that will both keep your relationships intact and help laid-off staff members to move onto a new role. If you want to support people you’re about to say goodbye to at work, read on for some top tips you can follow today. For starters, it is important to treat people with respect when you’re letting them go. A lot of firms have a set termination policy in place that doesn’t change, no matter the circumstances of someone’s exit. Often, this involves escorting the terminated employees from the building, and ensuring they have returned any company property that may have been in their possession. Although this may be a required tactic in occasional cases, when workers are laid off through no fault of their own, this type of process can be humiliating and simply uncalled for. Employees should be given the chance to say goodbye to their colleagues and to leave in a dignified fashion that honors their previous place in the team and the contributions they have made to the organization. It is difficult enough for people to lose their jobs; don’t compound it by making them feel like a criminal or someone whose work has not been valued at all. In addition to how you treat people on their last day, make sure you are honest and sensitive when you deliver the termination news to them. Employees deserve to find out the real reasons for the changes in the company, and realize that their being let go doesn’t have to do with their reputation or your impression of their work or them as a person. 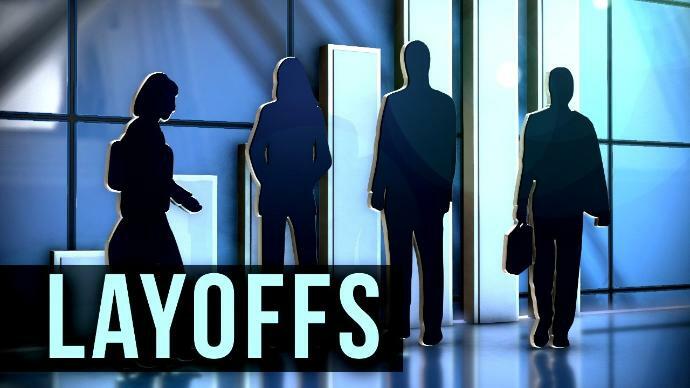 Giving workers the real facts behind the layoffs will help them to not lose self-esteem and confidence, as well as assist them to process what has happened and why. This, in turn, makes it easier for people to move forward and get a new job. Being communicative about the process involved is also very helpful for people. While you might be uncomfortable about having to give employees the bad news and want to get it over and done with as quickly as possible, it is vital that the employee understands what options are available to them, and what support they will be given. You should take the time to go through any termination paperwork step by step, too, so that you’re sure they understand each detail; plus give them time to ask questions and get their head wrapped around the situation. Next, keep in mind that, a lot of the time, workers are shocked when they are told that they are being let go. Even if the “writing was on the wall” in some respects, it is still a different matter when you actually find out the news for real. As such, you’ll make things easier for people if you listen to them as they try to process what is happening. They may want to vent, express concerns about their future, try to bargain for their job, or express other types of emotions and opinions. By acting as a listening post in the privacy of your office you will give them a chance to get collected before they have to exit and face their colleagues or family members. It is also a good idea to, wherever possible, make career counseling available to laid-off employees. This service can not only help them when it comes to dealing with the potential grief, anger, worry, and other emotions that typically arise from such a change, but also give them the ability to discuss their career path moving forward. Some might want to look at an alternative career, or undertaking study. Career counselors are trained to help people make a plan and cope with the transition period. Lastly, it also pays to utilize outplacement services to help your staff members find their feet after being laid off. Outplacement firms offer specialist services to help individuals search for and land new positions after losing a job. In particular, outplacers tend to be contracted by companies to help them meet their duty of care to workers facing redundancy. Hire an outplacement firm and you can have trained professionals on hand to assist terminated employees put together a new resume and cover letter, run through interview coaching and other types of interview preparation, take advantage of networks and referrals, get up to speed on social media usage in job hunts, and find out about relevant positions to apply for. Your Guide To A Successful Startup! Deciding to create a business is a big leap into the world of commerce. You’re going to be thrust into the deep end straight away and be competing with everyone around you right from the get go, so you have to be properly prepared! 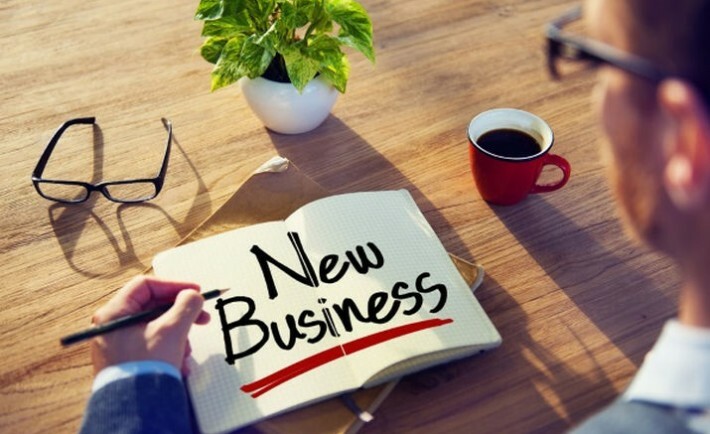 Your business is going to have to survive the first few months of it’s creation, which are arguably the hardest few months of the business’s life! But don’t fret, if you carry on reading you’ll know by the end how to make a successful startup business. Unless you’ve got a monstrously huge budget to get you started off, you’re going to need to be clever with the way that you use your money. You’re not going to be able to realistically afford to hire permanent employees yet because you’re not going to have the money for it! This is where freelancers step in. You can hire them from websites like Upwork, and they come with a multitude of benefits that a permanent employee doesn’t have. Firstly, the contract is never fixed, you can hire them for as long or as little as suits your needs. This is excellent because once you’ve had them do the job that you required them to do, you can simply end the contract and save lots of money! The second benefit is that they are usually cheaper than hiring an actual employee, they will be working from home so they won’t be charging as much for their services as they won’t be traveling to work for you! And the final benefit is that they won’t need any office space as they’ll be working from home, meaning that everything is cheaper and easier for you! If you’re selling a unique product then this is definitely going to apply to you. Patents are the way that you are able to protect your unique product, by applying for and successfully getting a patent, it makes it illegal for someone else to copy what you’re selling. You can a patent broker to help you achieve this, but a lot of people don’t quite understand what it’s for, which is why it’s about to be explained to you. If someone is able to copy your product and use it, it means that you’re going to have a lot of competition so your business isn’t going to be as successful as it could be because you’ll be losing business out because someone else is doing exactly the same as you! By making it illegal to violate a patent, it means that other businesses are going to be greatly deterred from copying your product, and if they do you can sue them to reclaim all of the money back that they had gained by using your idea! There are a multitude of things that can happen if a patent is violated that you need to know, so read this to get up to date on it! One of the biggest things that puts a stop to any business, regardless of size, is not being insured. Insurance covers you in case of a specific event occurring which will be outlined in the insurance, they will pay for what the insurance covers on the agreement that you pay a certain amount to them a month. If a disaster happens, such as a fire, it’s going to ruin your entire building and everything in it! This means that, if you don’t have the money to buy everything again, you’ll either have to downsize or bankrupt your business, which is not something anyone wants! This danger is especially apparent to startup businesses because they are more susceptible to being wiped out after a disaster, so there are two types of insurance you’re going to need; contents and business interruption. Contents insurance covers the physical property and what’s inside it. If your premises gets set alight and everything burns down, your insurance will give you the money equal to all of the equipment that has been damaged and will give you the money equal to how much the property was worth meaning that you can replace it all. Interruption insurance covers your business for any losses that you’re going to make during the “downtime” of an accident like a fire, or even a computer meltdown. These times your business won’t be able to properly operate, so your interruption insurance will give you money that is equal to your monthly income to keep the business with a regular cash flow so it doesn’t go under! You’re going to need a property to start your business off at, and you’re going to need the right one. There are two ways you can go wrong here, so let’s start! If you’ve got an office space that’s too small, it means that you’re going to have to move at some point which can be expensive and time consuming depending on your contract length with your landlord. Or, if it’s way too big, you’re going to be overpaying for space that you don’t use, meaning that your business makes less money. This is why it’s good to use websites like instaoffices, they are able to find offices across the country that are perfect for you so you don’t get one that you don’t like! As a rule of thumb with offices, remember that you should have a little bit of extra space for a few people. This accommodates any new employees that you might get over the term of your contract, giving you the ability to expand your workforce as and when you need to. 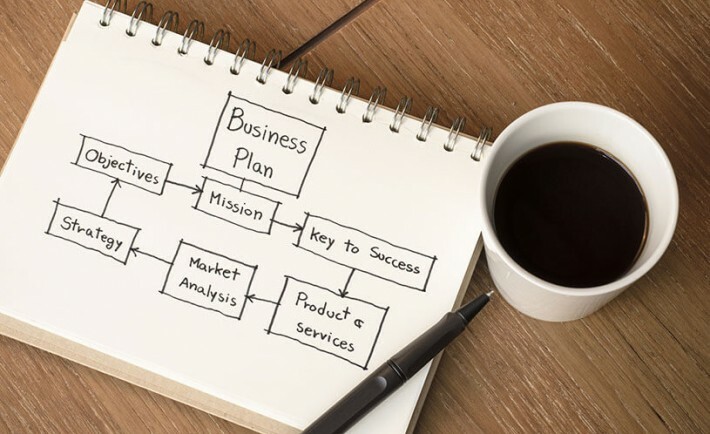 Doing all of these things is highly advised when you decide to startup a business! Make the most use out of freelancers to cut costs down, get everything insured so you can claim if something bad happens, get your products patented so you can dominate your market and get the office space that’s perfect for you and don’t settle for anything less!